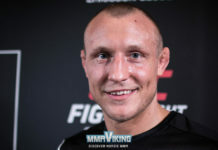 Jack Hermansson will again take center stage at Bellator, this time in a non-tournament bout versus American Jason Butcher. Today’s Bellator 93, which is headlined by Marcin Held and Dave Jansen. Referee Kevin McDonald will oversee the forthcoming middleweight action. 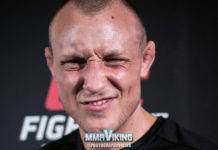 Hermansson scores with a body lock takedown to start the bout. 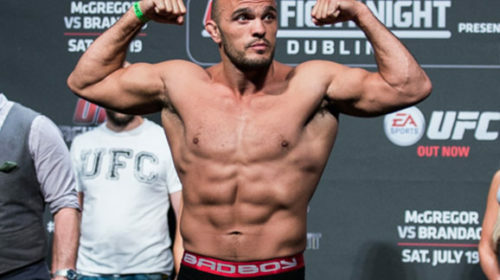 Butcher places him in guard and frames up what appears to be a tight triangle choke, though the Norwegian is able to withstand the pressure for quite a long time, even forcing Butcher to briefly switch to an armbar attempt before locking up the triangle once again. 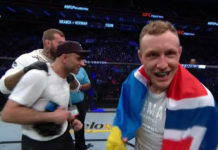 This time, the 28-year-old finds his squeeze, pulling Hermansson’s arm across his face and eliciting a tap 2:24 into the opening stanza.